This website’s theme, “10,000 hours,” is about spending a significant amount of time doing one thing until becoming an expert at it. But regardless of the becoming an expert part, the bottom line is to find something you love to do, and to do it, a lot. In my case, while I love doing so many things, such as designing and teaching, my main focus right now is my writing. More specifically, working on my novel, I started this project at the beginning of the year, and after many false starts (four to be exact), the current book stuck and the words kept on flowing until the characters, plot and story development were solid. I just recently hit 40,000 words of my first draft and I’m giving myself a congratulatory pat on the shoulders. What’s great is that I see the end in sight. I know my destination, so I know I’m going to get there. I’m not quite sure if there will be stopovers and detours along the way, but ultimately I know where my characters and story are heading, and because I know this, everything falls into place. I started with the working title: “The 30-Year-Old’s Guide to Turning 30,” since then the working title has shortened to “How to Be 30.” In the novel, 29-year-old Jane has a hard time dealing with the fact that she’ll soon be 30. But she realizes that it’s not so much the number that freaks her out, but rather the fact that she’s not where she wants to be in her current life situation. She’s fallen complacent and lived a comfortable safe life, until she is given the tools to make the changes that will allow her to start doing what it was she was meant to do. Jane is then determined to turn her life around and take the risks that will allow her to grow. I have grown quite attached to my characters. When they cry, I cry. When they laugh, I laugh. In life, nobody is one-dimensional, and there are different sides to everybody. My characters remind me of that fact. I can try to make them behave in a certain way, but their inherently imperfect nature makes them do something that is ironically, out-of-character. Nobody is safe from the hardships and lessons to be learned in life, including my characters. Starting the day by writing every morning has become the morning coffee some need to start a day on a good foot. I feel extremely privileged to have found my rhythm and momentum. I feel privileged to have come up with a book idea that I enjoy to develop and create. I’m looking forward to the end product, but in the meantime I am enjoying the journey my characters are taking me on, despite the fact that ultimately, I am the pilot. 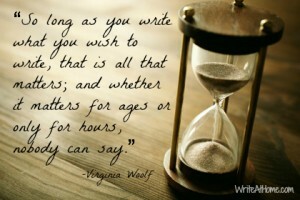 Write! Write. Rewrite. And never give up.